The seemingly contradictory logic of eating spicy food in hot weather is actually not as weird as it may read. In fact, some of the fiery dishes come from places that are hot, like Southeast Asia and India. The reason is simple, spicy foods make you sweat, and sweating cools you down (read more about the science behind sweating). In light of such knowledge, I believe it makes sense to reverse the logic and eat ice cream in winter. 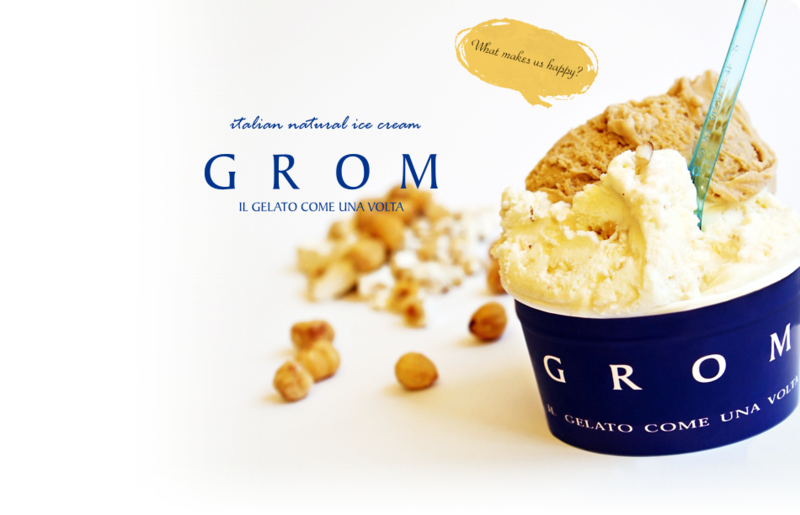 And the best lick comes from Grom, the artisanal gelato from Italy. My favorite is the house classic, crema di Grom, which consists of pastry cream, Columbian chocolate chips and meliga (aka corn) cookies. The treat is incomplete without a healthy dollop of homemade whipped cream. Grom’s version, unlike store bought whipped cream that is sweet and lacking in cream flavor, tastes richer, denser. This entry was posted in Dessert / Sweets, Dining & Drinking, Stress-free NYC, Travel, United States + Canada and tagged Grom, Harbin, New York, the science behind eating spicy food on March 9, 2015 by Sherry.